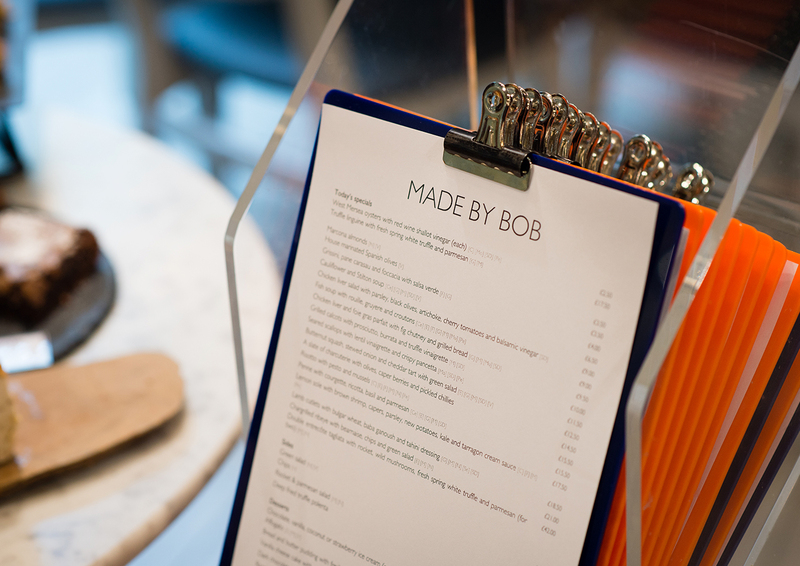 Made by Bob is a brilliant restaurant and delicatessen in Cirencester, in the heart of the Cotswolds. 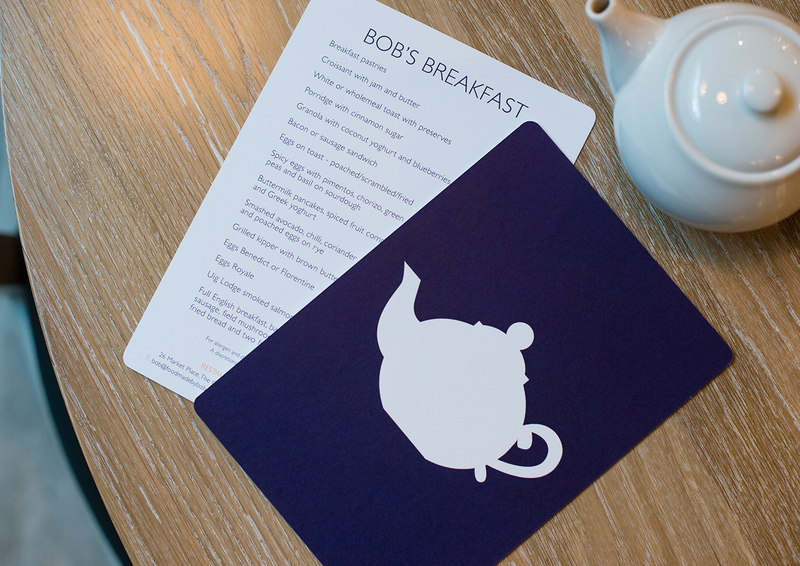 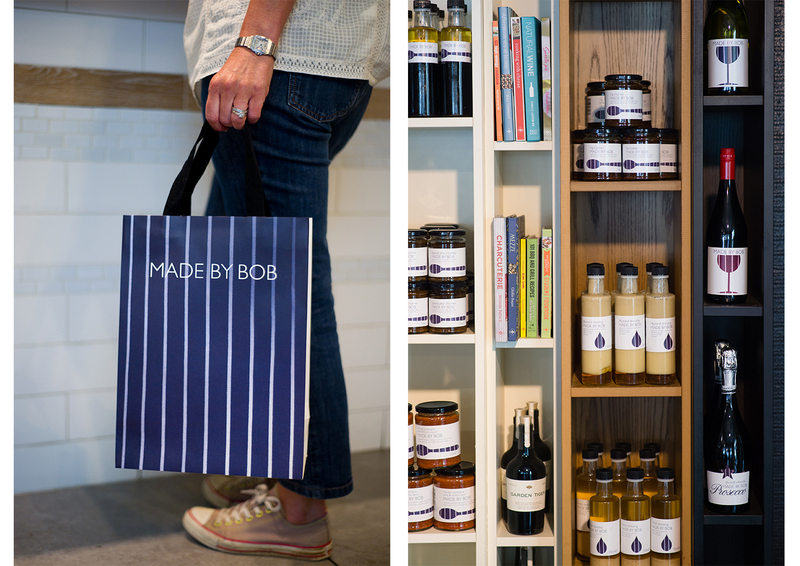 Bob is a creative force – not just for having established a major destination restaurant in the area but also producing his own lines of products. 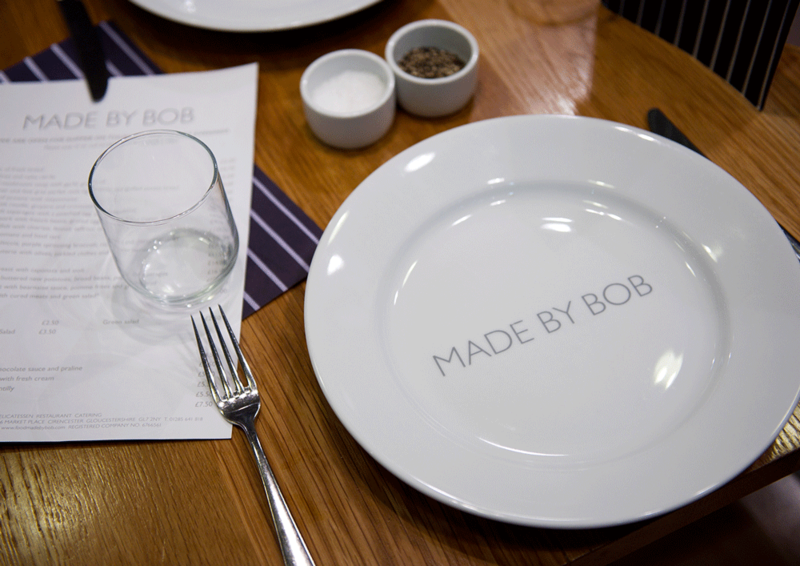 He’s also a chef to his bones. 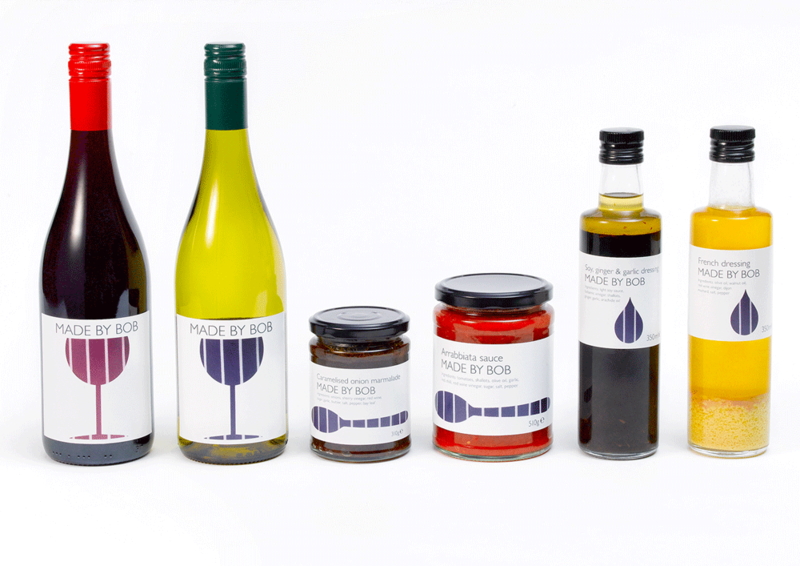 I wanted to find a design that would reflect that: the idea of the chef’s apron evokes good food to customers but has is also dynamic possibility and has evolved playfully with different colourways across different lines. 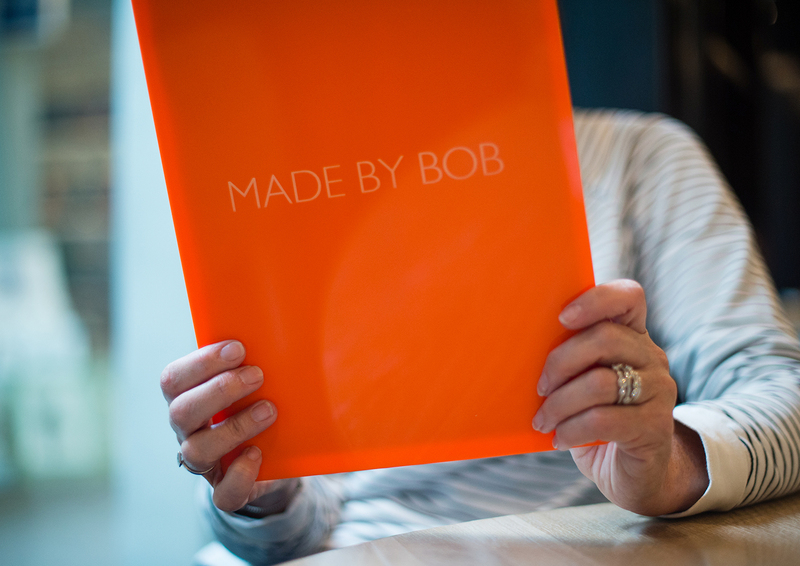 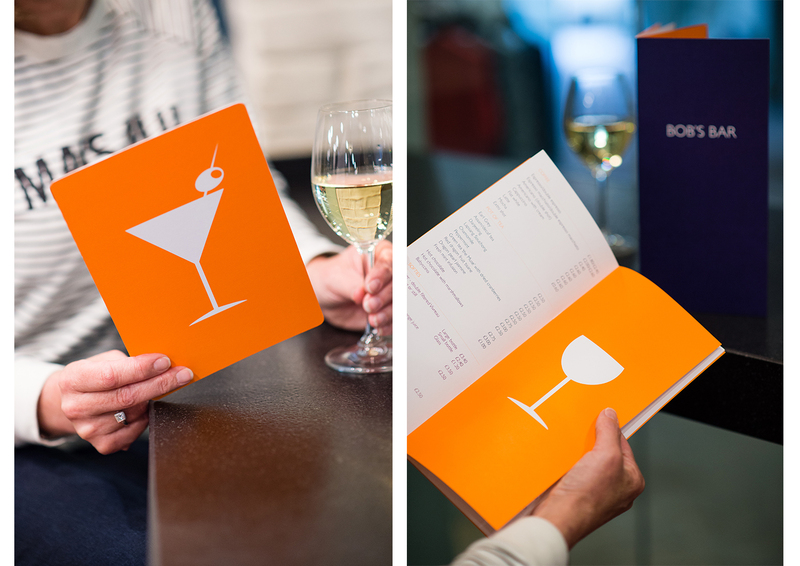 It continues to adapt to Bob’s thriving business, most recently in the striking orange and blue for the restaurant and bar.